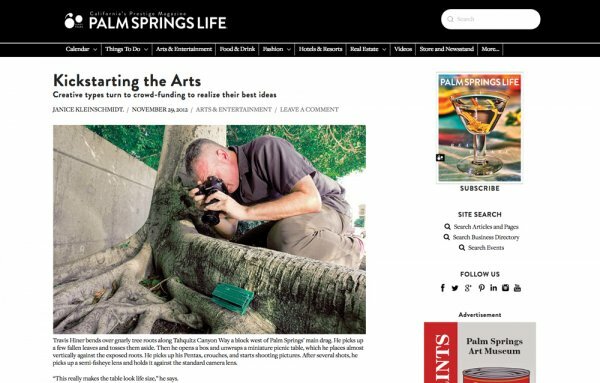 A huge thank you to Janice Kleinschmidt from Palm Springs Life: Art + Culture magazine for including me in her article on Coachella Valley and Joshua Tree artist turning to Kickstarter to help fund their projects. I have an update on the In A Place project that I will post in a few days. I will hint that the update will involve canvases, paints, frames, prints, brushes and most importantly, a new camera!